While pan is heating, rub pepper and salt into steak. When pan is hot, pour oil into pan (oil should smoke) and then put steak into skillet. Cook on each side for 7 minutes until outside of steak turns a deep, crispy brown. 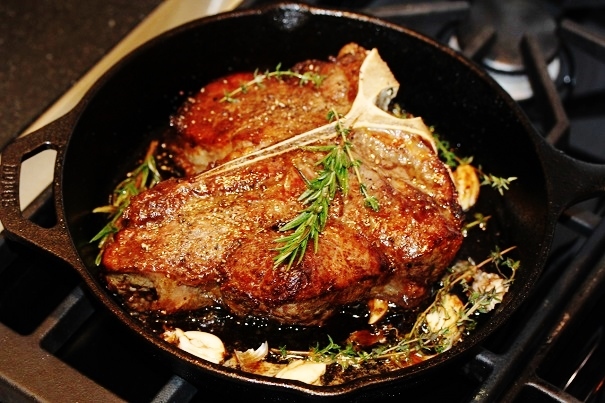 Put the lid on the skillet and place in oven for twenty minutes for medium rare. 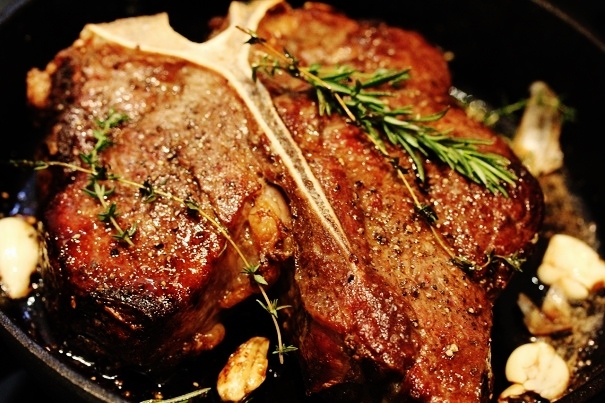 Add thyme and rosemary, garlic and butter, and serve directly from the skillet for a dramatic presentation.